An often squat building with thick, loopholed walls and a flat roof, designed to accommodate a variety of weapons, usually strategically positioned to cover a vulnerable point in a defensive system. Many were built to standardized designs. They were used in World War One and World War Two. 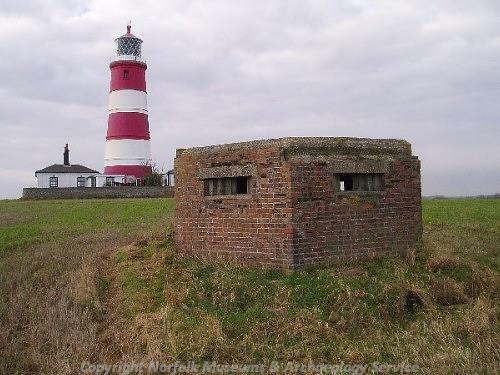 For more information see Pillboxes in Norfolk.